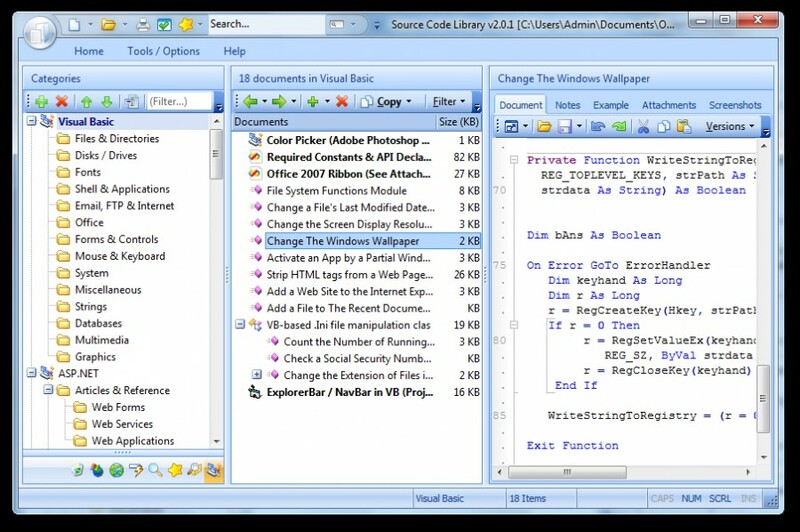 VB.NET Code Library 1.8.5.314 is basic, vb, vb dotnet software developed by OverZone Software. VB.NET Code Library is a powerful multi-language source code Library with the following benefits: 1. Built-in library with 50,000++ lines of code 2. Quick and powerful search engine 3. Powerful printing capability 4. Password protection & strong 448 bits encryption (optional) 5. User notes & attachments handling 6. Favorites & rating support 7. Full integration with *all* major programming IDEs And much more! This program is shareware, which means you can download and use VB.NET Code Library 1.8.5.314 for free during 30-days trial period. After this period you gonna have to buy VB.NET Code Library 1.8.5.314 software for $79.99 or uninstall the program. 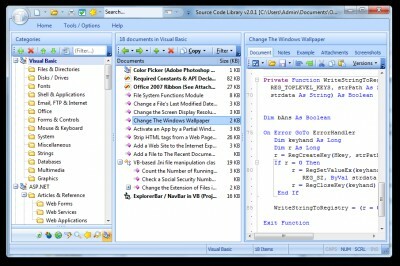 VB.NET Code Library 1.8.5.314 supports English interface languages and works with Windows 98/XP/Vista. We have tested VB.NET Code Library 1.8.5.314 for spyware and adware modules. The software is absolutely safe to install. We has completely tested basic, vb, vb dotnet software VB.NET Code Library 1.8.5.314 many times, written and published the interesting article and uploaded installation file (7468K) to our fast server. Downloading VB.NET Code Library 1.8.5.314 will take minute if you use fast ADSL connection.